Do you have a logo you want embroidered on a company shirt or team hat? Just send us a clean, clear copy of your artwork to be digitized and we’ll turn it into beautiful embroidery. 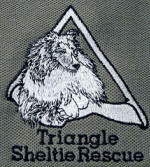 Digitizing is the process of adding stitching to your logo or picture. It tells the embroidery machine what stitches to make and where to place them. Getting your corporate or small business logo digitized and embroidered on a cap, shirt or jacket is one of the best ways to promote your business! Custom embroidery conveys professionalism and instills confidence into your customers! See samples we have done for some of our clients here. Before we can send your order to production, we need your stamp of approval. Therefore, a sew-out of your finished logo will be sent to you for your review. The cost depends on the number of stitches and the complexity of the design. Digitizing is a time consuming process. The more complex the images, the more expensive it is to digitize. To give an accurate estimate, we need to see the design. Either fax it to us or e-mail it to us as a .eps, .ai, .cdr, .gif, .tif, .jpg or Adobe Illustrator / Corel Draw compatible file. Generally speaking, most left chest logos can be digitized for $40. Jacket backs typically run $125-175. This is a one time fee. Your design can be used over and over again including color changes - without further charge (hats sometimes being the exception - a design may need to be digitized specifically to run well on caps). Your Setup Fee is based on the complexity of the design - rather than stitch count pricing... in other words, we take into account many factors (number of color changes, run time, logo layout, material/item sewn on, number of items being produced) rather than giving a flat price per stitch. This gives you a better value in the long run for your money. Apparel prices can be found in our online catalog.